This Small Playhouse incorporates excitement, functionality and safety all in one building! 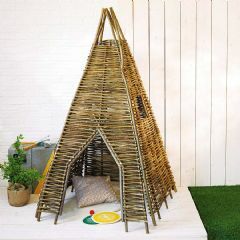 Children will love it as it will make them think they own their own little cottage. 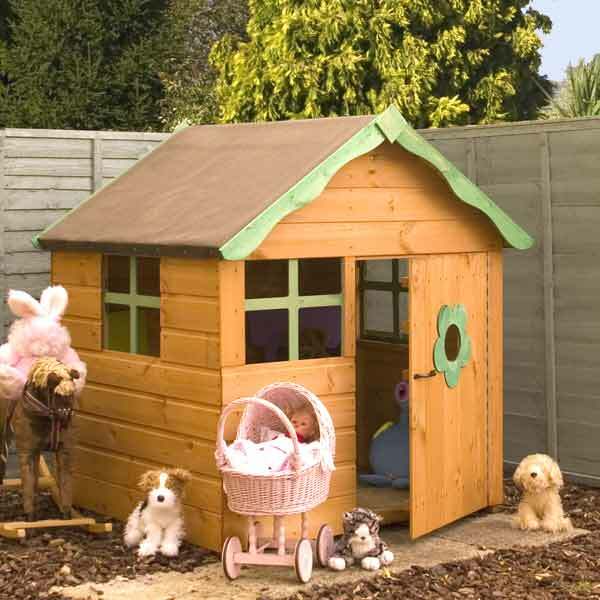 Manufactured using FSC-approved timber, this quality playhouse is both durable and robust. Constructed around 2.7cm x 3.2cm framing and 8mm shiplap tongue and groove cladding, this shed also has two fixed styrene windows with crosses, a single door with a flower motif and oriented strand board (OSB) solid sheets on the floor and roof. This product comes untreated, so it should be painted with a good quality preservative once it has been installed, and you should continue to maintain it every year or two, in accordance with the manufacturer’s instructions. This will ensure that your playhouse will last for many years.